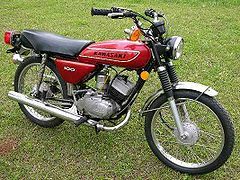 The Kawasaki G7 was a 100cc, single cylinder, two-stroke lightweight street motorcycle manufactured by Kawasaki from 1973 through 1975. 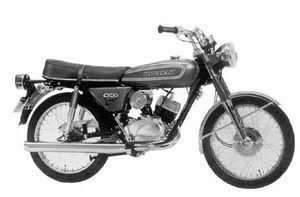 The engine was much the same as that of the Kawasaki G5 and Kawasaki G3SS. 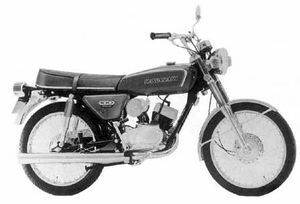 The frame was a tubular double cradle frame. 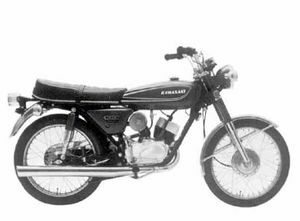 This bike was very durable and like other G-series bikes, good for a novice user. Major Changes: Marking. Charge rate switch discontinued. 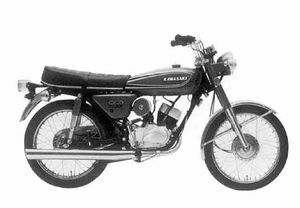 Remarks: Similar in appearance to the G7T, but transmission, number of the drive chain links and sprocket teeth are different.